Can you believe it? 2014 is already here and technology seems to be growing by leaps and bounds in everything around us. Computers now fit in our pockets and persimmon woods seem as ancient as Stonehenge. Technology has been great for golfers and made the game more enjoyable for amateurs around the world. One such advance caught my eye recently. It was a new driver from a company I had not heard of before called BombTech. What if… you combined the Grenade with one of my other fitness products? How much farther could you hit it realistically? That’s a dangerous combination and one your golf buddies wouldn’t be able to compete with. I can hear them now… how are you hitting it so far???? Just keep the fitness stuff a secret and they will never know! LOL. Anyway, time for the interview, let’s get to know more about BombTech and Sully, the found of the company. Chris: Great speaking with you today Sully, and I am new to your products and love the concept of the driver. 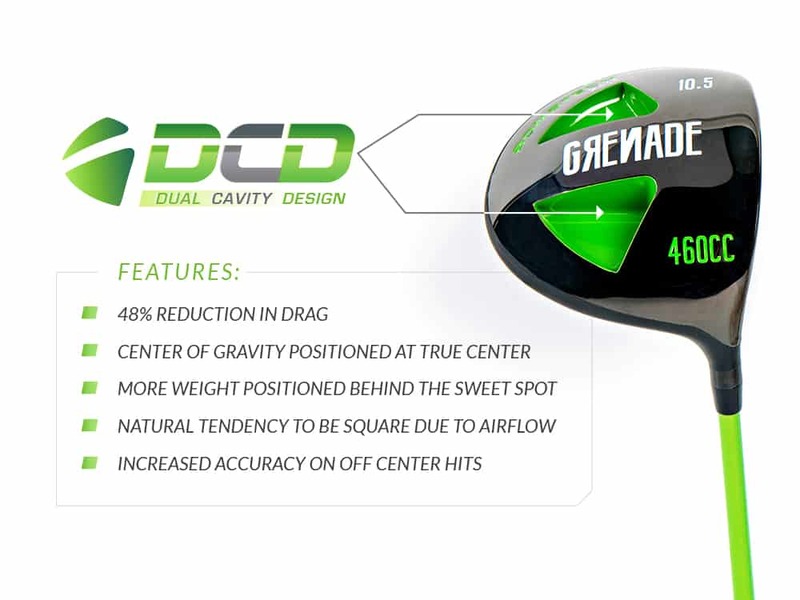 I have read extensively about your new driver The Grenade, but want to let you explain it to the golfers reading or listening today…can you tell us more about BombTech and how you started the company and where you are at today? Sully: BombTech Golf is a golf company dedicated to offering advanced technology, top quality materials and innovative design to create golf driver you are truly proud to swing. All of our golf designs are co-engineered with the University of Vermont. This unique relationship helped us create a design that was motivated by pure performance versus marketing. Our approach and dedication to use the best materials is important, but what makes us completely different is the fact that we sell direct to you. This direct model allows BombTech to offer lower prices, higher quality and allows us to learn from our customers! I started the company after a bad experience with a local club fitter. It was then that I decided to become a custom club builder. After years of club building, I wanted more than to build golf drivers and golf clubs. I was looking for more control of quality of products and design. This is when I decided to reach out to my local University of Vermont. This relationship allowed BombTech to have such great success through design. Chris: Can you tell my readers a bit more about your newest product, the Grenade? Sully: The Grenade is a golf driver that is designed and assembled in USA. It is the world’s first Dual Cavity golf driver, the design reduces drag, lowers spin and increase accuracy. The design is further enhanced by a 2 piece cast construction process with plasma welded TI-1188 face plate. This manufacturing process is very expensive but creates a more reproducible and higher quality tour grade product. Lastly, the Grenade uses a true high end aftermarket golf shaft by Matrix. This gives our golf club an immediate advantage over any stock product. Chris: How was the University of Vermont brought in to help co-design The Grenade driver? Sully: I am a UVM Alum and was talking with another Alum about how I could get it designed. My friend had suggested reaching out to UVM. I thought he was crazy, but I decided to give the Engineering department a call and they loved the idea. We co-engineered under their capstone projects that are completed once a year. Chris: I’m sure they have quite a bit of technology that helped design the driver head. Can you tell us how the design process went? Sully: The hardest part was to insure that our design was not influenced by what was on the market today. Our goal was to truly focus on performance and now what would potentially sell. The UVM students and myself designed many different variations using CAD modeling. This modeling and rapid prototyping was helpful but all the design in the world can’t beat live testing. So after months of design and re-design, I made the call to get live samples run. The titanium head was then tested using a wind tunnel and live testing. The results were beyond expectation, and my expectations were high! Chris: How many revisions did you create before you came up with the final design? Sully: Total revisions, probably 30 at least, but we have 2 finished designs. 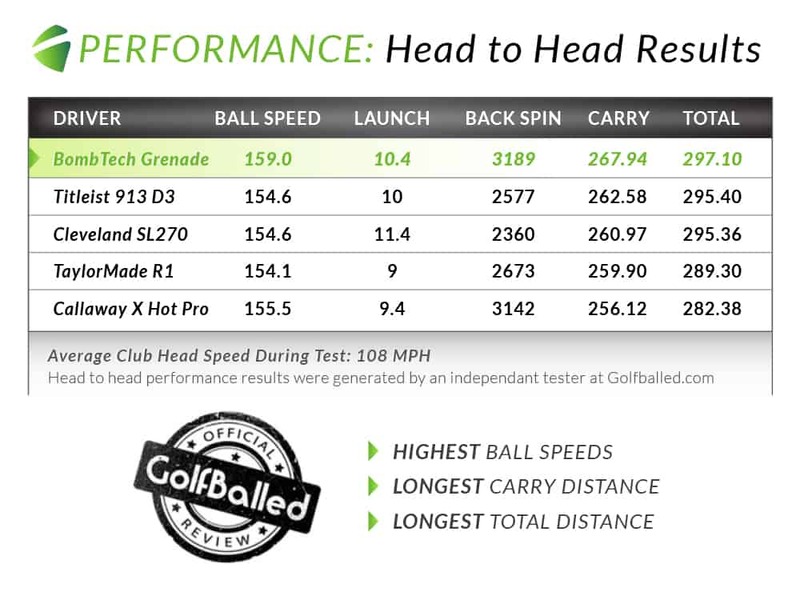 Chris: What kind of results is the average golfer seeing after they implement the Grenade? Sully: I don’t like to make promises or claim more distance and accuracy. But the results that golfers have reported back have been awesome. It is not uncommon for me to hear that golfers are gaining 10-15 yards and hitting 50% more fairways. Everyone has distance, our high-end production process and shaft offer that, but the level of accuracy being reported has been unreal. I have a lot of golfer’s hitting driver on holes they never would because they are confident they can place it exactly where they want. Chris: Compared to other drivers on the market, what kind of differences are your test results providing? Sully: Lets not sound like a broken record, longer, straighter, faster, longer, straighter, faster…. The truth is that since we can build semi-custom to your specific needs and swing type we can offer a golf driver experience that will help you be more consistent and play better. I build a ton of golf drivers that are under 44, 44.5 or 45 inches. This would be considered short compared to the big brands that are in stores. But more length and lighter doesn’t make it easier to hit. There is a reason that pros are playing drivers from 44 to 44.5 inches in length. But on the flipside, we can also build the Grenade up to 47 inches in length for maximum distance potential. These longer drivers are much harder to hit but bottom line we can build to your needs. Chris: …and this is comparing apples to apples? Meaning, the same shaft length and flex? Sully: The testing that is shown in our website was complete by independent third party golf companies. What they choose for side by side comparison is up to them. I would rather have someone else test our product and make their own opinion then have use do a test and offer our results. Chris: You know, I’m big in to fitness and getting as close to possible to your full potential physically. What are your thoughts on combining a golf fitness program with your Grenade for sort of a “distance Molotov cocktail” ? Sully: Haha, I love it. I am asked every day, how can I hit it farther. Great equipment fit well can help you hit it better and longer. But being physically fit will allow each golfer to get to their true maximum potential. I personally understand this well as I train specific for golf and have had some long drives in my day. Best drive in any competitive scenario was 360 yards and I have hit many 350 plus, which is not the longest out there. But is due to practice, good equipment and working out. Chris: What options do golfers have when ordering the Grenade? Sully: Shaft Flex, Length and Grip. Due to the center of gravity position our 10.5 Degree is our only loft option. We will be releasing a 12 degree in the spring. Golfers that are not sure what they want can call me direct or fill out our “Free Driver Recommendation” form to get their unique specs that will meet their goals. Chris: I also noticed the drivers are assembled and designed in the USA in the state of Vermont. How important is it to you to keep building these in the United States? Sully: This allows me to control the outcome and build semi-custom to each golfer. This makes us different than the rest and allows us to offer an experience and golf driver that is guaranteed to perform. Chris: Is there any type of discount or coupon you can give the readers of GetGolfFit.com to purchase the Grenade? Chris: Great! Thanks for the interview and I look forward to hearing more about The Grenade and the future of BombTech Golf. The SECRET formula of scratch golfers.. (+ an exercise to try)Do you have an all upper body swing?